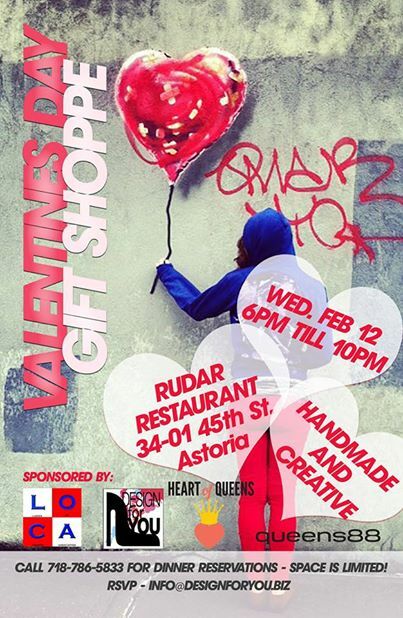 Check out Design for You’s Valentine’s Day Gift Shoppe this Thursday, February 12th from 6-10pm in Astoria (map)! Come support some great local designers and artisans and get the perfect gift for your valentine. RSVP on Facebook for a complimentary raffle ticket.